On the outside, Rosie was a fairly typical pre-teenager – recently starting at Stroud High School she was experiencing the freedom that comes with being allowed to walk home from school alone. However there was much more to Rosie than met the eye. Like any adolescent, Rosie was dealing with the ups and downs of growing up. Some days were harder than others. Rosie dealt with life by finding ways to get involved and give something back. 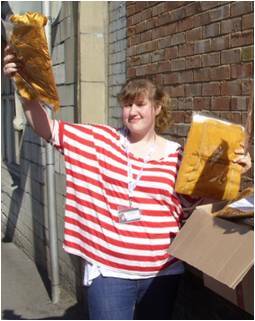 She became a mainstay of the Stroud Centre, and always seemed to be there to help out the youthworkers, or other young people. We quickly recognised a gift in Rosie for coming alongside others – the sort of skills which a youthworker needs. 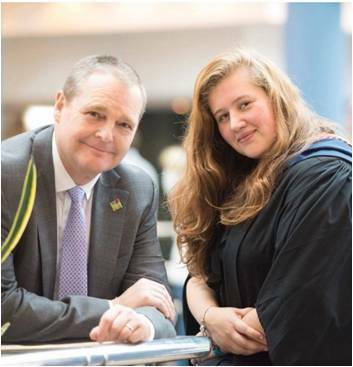 We helped her access a college course when she was 16 – bucking the trend of going to 6th Form to study something vocational because she knew in her heart what she wanted to become. This turned out to be an important step in her youthwork journey. But the story doesn’t end there, we’re delighted that, for Rosie, the wheel has come full circle, and she is joining the board of trustees here at The Door. Volunteering can have such a big impact on the young people we support and we are pleased to be able to continue offering opportunities for young people across The Door from Youth Club Café Teams to The Door Shop and a variety of work experience.